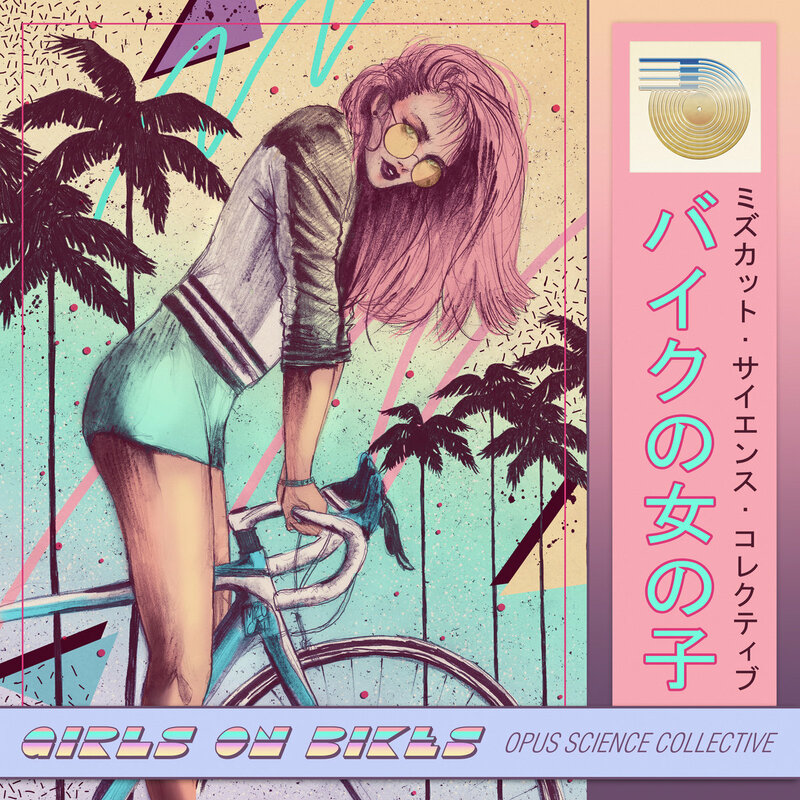 Girls on Bikes is the latest offering from UK-based Opus Science Collective, or OSC for short. After releasing a considerable amount of covers and remixes for video game and anime scores, Girls On Bikes sees OSC at their funkiest, most likely due to the alliance with free-to-download behemoths Business Casual. This 5-piece album begs to take a quiet bike ride across the coastline and stop at the beach to throw a party by the bonfire. Girls On Bikes does not deviate too heavily from the funk-ridden releases we have been seeing from Business Casual throughout the years, those looking for dance-inducing delight will not be disappointed. The album does change the formula by completely omitting samples in Japanese and Korean, opting for a more western-minded approach where melodic synths are the norm. The title track starts sounding almost like Detroit Techno, before bringing in a fantastic blend of acid notes, cleverly accompanied by dynamic percussion work. Cycles At Sundown expands the aesthetic, offering a mid-tempo funk cut that’s danceable and relaxing in equal measure. Lipstick Lollipops goes full-on 80s – not like the previous songs hadn’t tried – turning the coastline setting of our proposed bike ride into a street filled with neon lights. Finally, The Ride Home is an aptly-named closer, somehow ticking all the boxes previously addressed by the individual cuts before it. Those familiar with the Business Casual label will not be disappointed with Girls On Bikes. Newcomers can expect a funky ride of diverse intensity across an atmospheric sonic landscape, filled with details that make repeated listens worthwhile. Go ahead and download the record. It’s free, anyway! Favorite tracks: Girls On Bikes, Cycles at Sundown, The Ride Home.